I was recently introduced to a powerful new tool created by the folks at Persistent Systems, a long time Oracle development and systems integrator partner. The Oracle Identity and Access Management platform has a very rich set of Java APIs that enable developers to access nearly all of the functionality this platform from external applications. The challenge is not completeness, but complexity. To take advantage of this rich API set, external developers have to know much about the internal workings of the IAM products and the intricacies of writing the Java code to access the APIs. How would you like to translate those “business level” requests into Java API calls? 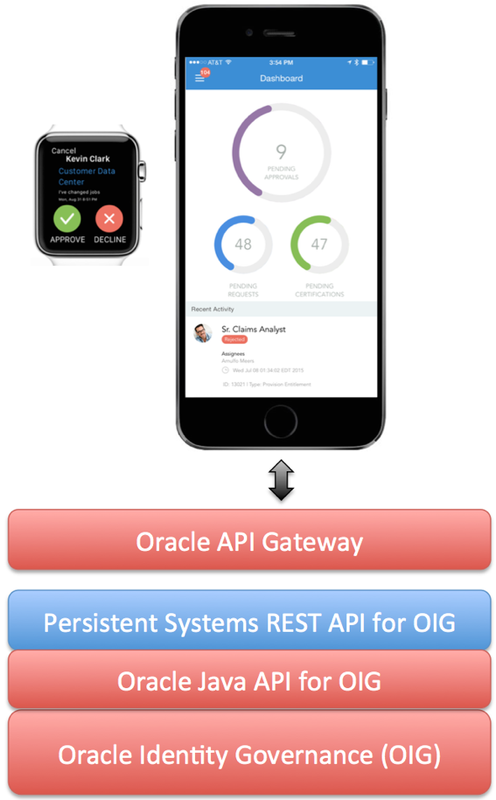 To demonstrate the capability of the REST API, a developer at Persistent Systems created the application shown in the image below, with a clean, easy-to use interface for OIG approvals and certifications – all without being an expert in Java or the detailed processes within OIG. The iPhone and Apple watch images include screen shots from my phone and watch. It really does work! The most important thing to consider is not the neat user interface – although it has some cool features – it is how an intelligently constructed REST API can provide development agility, application flexibility and rapid deployment, all essential enablers for digital transformation. Leonardo Da Vinci has been credited with the wise statement, “Simplicity is the ultimate sophistication.” I think Leonardo would like this approach. What functionality should I add? What capabilities do you think should existing in the Yellow Jeep API? Roll on Yellow Jeep Journey! Information Security is in constant flux. With the changing threat landscape, as well as a steary stream of new innovations, demand for Information Security solutions is both growing and re-focusing. Define an IAM strategy for dealing with all types of users, devices, and deployment models that integrates new Cloud IAM solutions and existing on-premise IAM seamlessly. 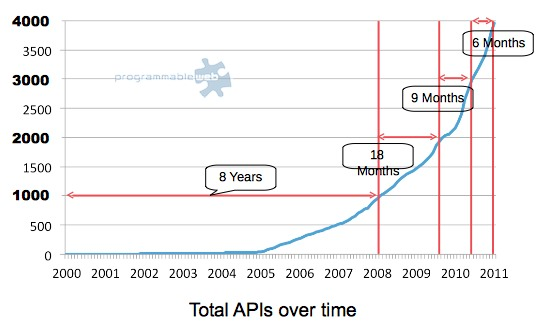 Before entering this brave, new world of the API “Economy”, define your security concept first and invest in API Security solutions. Security can’t be an afterthought in this critical area. Before starting with IoEE, start with IoEE security. IoEE requires new security concepts, beyond traditional and limited approaches. Encryption only helps when it is done consistently, without leaving severe gaps. The whole paper is well worth reading. Hopefully, this post whetted your appetite a little bit. Kuppinger Cole: SAML is Dead. Long Live SAML. I attended a very thought-provoking Kuppinger Cole webinar last week, entitled, “SAML is Dead. Long Live SAML,” featuring Craig Burton of Kuppinger Cole and Pam Dingle of Ping Identity. It is now available as an on demand webcast. 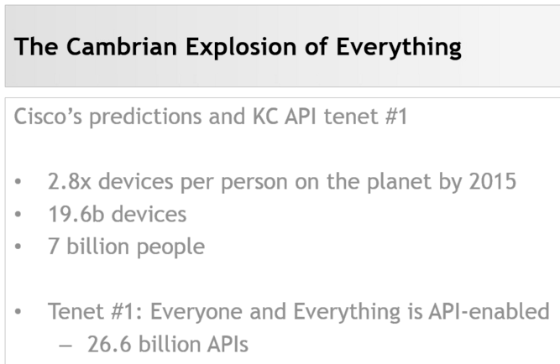 My favorite slide addressed the sheer scale of what we are expecting to see in just a few years. Adding addressable devices and the API’s to support those devices is mind boggling. Meeting that demand will take some real innovative technology and processes. The webcast was certainly worth an hour of my time. I highly recommend it to you.